I think I'd like to visit them all, plus a few more! For sure, pretty special places! Thank you Carrie. My trip to Daytona Bikeweek have surpassed all expectations but than again that's just my choise. I'd love to ride those Icelandic ponies!! Thanks Carrie ! 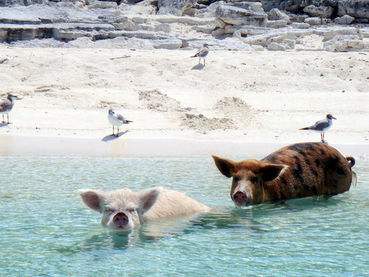 All wonderful, but I'd love to visit Exuma (Pig Beach)!